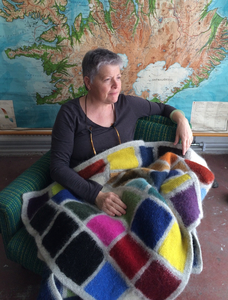 Cazenovia College's Jen Pepper (http://www.cazenovia.edu/academics/faculty- profiles/art-design/jen-pepper), associate professor of art and design and director of the Art Gallery, took advantage of three international artist residencies during her 2015 sabbatical. An artist residency is an occasion where an individual is given the gift of time to delve deeply into his or her professional studio projects and research. "In my case, I worked on drawing, writing and developing ideas for future installation projects, as well as community-based performative projects," explained Pepper. "The enrichment that each residency provided allowed me to also develop new ideas that will augment courses I am currently teaching, as well as begin the development of a new, study abroad course." In 2015, during the month of March, Pepper lived and worked near the Hardangerfjord at Kunstnarhuset Messen (http://www.khmessen.no/sample-page-2/) in Ålvik, Norway. She used the shape of the Hardanger to design a 15-foot Norwegian knitting pattern. Working with three women from the community, Pepper developed the knit work using Norwegian wool. A month later, in April, Pepper traveled to Iceland where she lived and worked at NES Artist Residency (http://neslist.is/) in Skagaströnd, located on the northwestern coast of Iceland. There she continued her scholarly projects in writing, drawing and sculpture. She also started a new knitting project using Icelandic wool to create a knit work of an illustrated color paint chart she found in an article published in TATE exhibition catalog (http://www.tate.org.uk/research/library/exhibition-and-collection-catalogues). The article was devoted to the development of color ranges through the ages, beginning with cave art through 20th century palettes, which sparked Pepper’s interest in this new project. The performative project was worn by various Skagaströnd residents and even by an Icelandic horse. Her work, 'The Development of Color Ranges through the Ages,' was later included in a Paris publication (The Skagaströnd Review, Vol. 1). The residency in Iceland allowed Pepper to live and work closely with visual artists, writers and musicians. The international artists from Germany, Austria, New Zealand and the United States all became friends and shared ideas. When Pepper was not working on her projects, she took advantage of traveling up the north coast of Iceland to visit towns such as Mývatn, Húsavík and Akureyri. Also while in Iceland, Pepper initiated the possibility of having a Cazenovia College studio art student work as an intern at the NES. With this groundwork laid, Pepper helped photography senior Andrea Kennedy obtain a month-long internship at the NES artist residency this summer. In May, Pepper left Iceland to complete a third residency at Gæsteatelier Hollufgård located in Odense, Denmark, an hour away from Copenhagen. Here she continued her research and artistic practice through June. Similar to her work at prior residencies, and in collaboration with another artist, Pepper created a third performative work, 'Paintings Pictured Here,' composed of a knitted piece using Shetland wool. The work is shaped after vernacular architecture, specifically the timber- framed barns of Scandinavia. Once the piece was completed it was worn by individuals in Denmark. Pepper commented, "The performative work is a documentation of the interactive relationship of the subject, the object and viewers. The work identifies the opportunity for images to be captured, the potential for pictures to be imagined, and the promise of paintings to be crafted in the future." An image of the final project was accepted into the Stone Canoe Journal #10, a Journal of Arts, Literature and Social Commentary (https://www.facebook.com/StoneCanoeJournal/), and featured as the issue's cover image. After her international summer of artist residencies, Pepper returned to teaching in the fall of 2015, sharing her experiences with her students and continuing to grow her passion for the arts. She looks forward to expanding internship opportunities for her students in Iceland, and other abroad locations, providing Cazenovia students with the opportunity for their own personal growth and professional insight on an international level. This exhibition contains work from artists and writers across North America who are immigrants or the children of immigrants addressing their experiences relative to the process or journey of moving from or between one country, culture, or community to another or being raised within an immigrant family or community. On view are works that have a traditional source or conceptual basis from the country of origin, blend the innovative with the historic, are humorous or satirical, transformative or concrete, yet each contains or reflects a sense of understanding identity, place, language, community, and culture specific to the immigration experience. Artists in the exhibition include: Vita Berezina Blackburn, Lambertus van Boekel, Allison Davis, Mauricio Espinoza, April Felipe, Pamela Flynn, Camellia Freeman, Karen Frostig, Paula Gaetano Adi, Florence Gouvrit, Sophie Knee, Gelare Khoshgozaran, Jenna Kilic, Sophie Knee, Blazo Kovacevic, Monika Laskowska, Regina Mamou, Monika Meler, Tony Mendoza, Takeshi Moro, Jen Pepper, Gabrielle Pescador, Juan Javier Pescador, Luis Porras Garcia, Ramon Ramirez, Abdi Roble, Theresa Rojas, Suzanne Silver, Vanessa Simmons, Sergio Soave, Alexis del Sol, Chanika Svetvilas, Mariana Tcherepanova-Smith, Sherwin R. Tibayan, Howard Tran, Duat Vu, Martin Meaipa Zeinway. Curated by Swing Space Gallery Director/Curator Prudence Y. Gill and Department of Art Assistant Professor, Suzanne Silver. For more information please contact the Swing Space Gallery at 614-292-0234. Weir Farm Artist In Residence Jen Pepper presents her work. Jen Pepper's mother was a weaver and her father was a sports writer. Somehow, that has translated into her role as Weir Farm's Artist in Residence. "The word that comes to mind is translation," said Pepper. While she was referring to her current exhibition at the Wilton Library, she might as well have been referencing her past. Pepper discussed her artistic career during her exhibition/reception titled Translations at the Wilton Library last Thursday. A small, intimate group gathered to view slides of her work and listen to her tales of her fascinating life as an artist, especially how she spent her time creating in the studio at Weir Farm. Pepper spent two weeks at Weir Farm and the reception was the debut of her work there. 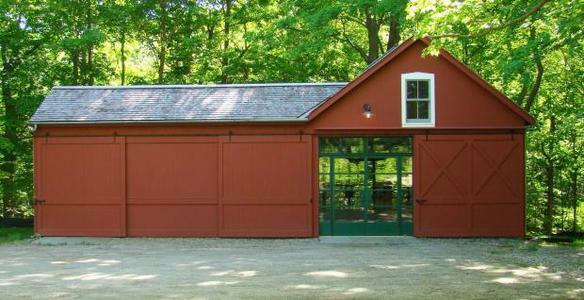 The Wilton Library works in conjunction with Weir Farm, hosting each Artist in Residence's exhibition. There are 12 artists picked each year to live and create in the studio at the farm. "The studio is their private domain, which is our pledge to them," explained Weir Farm's Interim Executive Director Janice Hess. "And the reception is when they put their art on display." Pepper's slide show, which incorporated poignant quotes and photographs of her art, was titled Translations because her work is based on how she responds to changes in the earth. 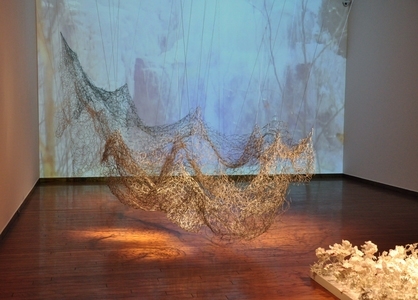 She is also very connected to her parents, both of whom have passed, yet she keeps them alive by weaving them into her art. "My mother was an amazing stitcher," Pepper explained. Mother and daughter once collectively created an artistic piece together while her father worked as a sports writer. "What I am excited about is blending language and knitting, riddles and conundrum," she said of her artistic muses. "When I see crochet lines, I think of it as writing sentences." As a child she received a loom from her parents and although she has been a painter and sculpter throughout her career, weaving has consistently showed up in her work in one way or another. Creating woven pieces often made her feel as though she was looming pages of a book. In conjunction with weaving, which Pepper does with the tip of a paintbrush or a crochet hook, cowhide, steel and watercolor also play an important role in her art. "I use materials that I feel are necessary for the work," she explained. At Weir Farm, Pepper tooled pieces of cowhide and paintings, but first she utilized the serenity of the space and spent time contemplating life. "For the first couple days I just thought," she explained. When she began to hear the tree-frogs, or peepers as some Wiltonians know them, it inspired the artist to create a painting of what they sound like. The painting was debuted at the exhibition. Pepper left Weir Farm for other artistic adventures on May 31 and felt her time spent at the historic farm was a wonderful gift. "It has been a tremendous experience," Pepper stated. Jen Pepper's artwork and schedule can be viewed at www.jenpepper.com. The Everson Museum of Art is continuing the momentum of “Turner to Cezanne: Masterpieces from the Davies Collection,” which closed earlier this month. New exhibitions for 2010 feature more contemporary art and works by local artists. Original prints by Maxfield Parrish are expected to be a major draw. The change is “so that we can be highlighting our regional and local artists throughout the entire year and also focusing on a variety of different artistic styles and formats with each different segment of the series,” said Sarah Massett, Everson public relations director. What began with “Turner” may take hold again. Museum officials are considering charging admission for one or two special exhibitions this year, said Massett. Currently, the museum admission is free, with a suggested donation of $5. The museum charged $10 to $15 for the “Turner” traveling exhibition. A decision is expected at month’s end. Features British artist Tim Scott’s large steel and acrylic sheeting sculptures and ceramic sculptures from the “House of Clay” series. “The Edge of Art: New York State Artists Series.” Jan. 30 to April 4. The first installment is a solo show of Jen Pepper, an artist who lives and teaches in Cazenovia. She has created a site-specific installation, “that which cannot be held,” based on “Tautologos,” a previous body of work. “Fantasies and Fairy-Tales: Maxfield Parrish and the Art of the Print,” April 29 to July 11. Americans were familiar with Parrish’s work in the 1920s and 1930s from magazine covers, book illustrations, calendars, advertisements and color reproductions. This exhibit features original works that appeared in print. If it's art you're looking to buy, you may have difficulty finding it in "Qwork," an almost invisible exhibition of drawings and wall sculptures by four women artists at Feed. Organized by Kathleen McShane, an assistant to Sol LeWitt, the show is a subtle visual treat that plays hide and seek with the viewer. By the entrance is a striking work by Elana Herzog, a whirling pinwheel of plastic and staples made right on the wall. Along another wall M.M. Lum has hung strips of newspaper headlines -- actually obituary headlines -- running from ceiling to floor. It's called The End of Work.